Depending on your company’s size and activities, the deployment of a powerful new Management System such as MySaaSPlace may best be done in a Private Cloud within the organization’s systems infrastructure. Because MySaaSPlace technology uses the Microsoft Azure platform, it can easily meet this kind of requirement. MySaaSPlace and its partner network have the experience and the know-how to assist the client throughout the deployment process. 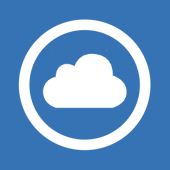 For more information about our Private Cloud service, please complete the following form. We will contact you as soon as possible to analyze your needs and suggest an appropriate MySaaSPlace Partner for your project. It is necessary to fill the fields with * mark to be able to send the form.